A bar in Illinois recently settled a lawsuit filed by a patron who was injured during a bar brawl that was allegedly instigated by the bar’s bouncer, who threw a bar stool at another patron. These types of incidents and lawsuits are very common. Bars serve alcohol. Patrons drink alcohol. Alcohol makes patrons act in bizarre and violent ways, at times. Further, bars compound this problem by oftentimes hiring bouncers without performing a simple background check to see if the prospective security person has the necessary temperament for the job. Also, bars routinely fail to adequately train and supervise their security staff. I have previously handled cases involving clients injured by bar security. Through discovery, I have found out that many bars do not perform background checks on their employees, including the bouncers. Apparently, the bouncer from this article had a criminal background. Further, it has been my experience that bars do very little to train or supervise their employees, including security. The bar expects its bouncers to pretty much wing it when it comes to performing their job and keeping the bar secure. However, without the proper training and supervision, the bouncers are left with very little guidance as to job execution and expectations. The complication involved in these types of negligence claims against bars is that the clients are frequently at some level of intoxication during the incident. The first defense that a bar uses in these cases is that the patron was drunk and brought on or instigated the fight that led to the injuries. However, there are a couple of logical responses to this defense. The first and most important is that if the patron is intoxicated, the bar has a duty to stop serving them alcohol. If a patron becomes intoxicated to the point of violence, there is a good chance that the bar contributed to that intoxication by overserving the patron. Also, everyone knows that a bar is a place where violence is prevalent. A bar cannot pretend to be surprised that a bar patron got drunk and violent. 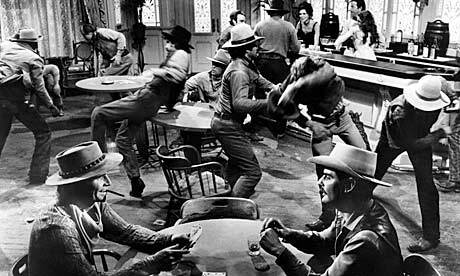 A bar has a duty to the public to train its employees to attempt to end arguments without resorting to physical violence and not to instigate further violence.